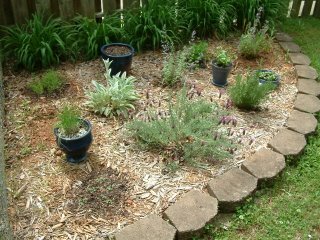 -Container garden of Salvia, Columbine, Dianthus, and Verbena. They especially adore the Salvia. -Vitex shrubs. (Formerly known as the mystery tree threatening to take over the front porch.) They are not flowering yet this year, but seem to be doing well after the severe but much-needed prunning over the winter. I can vouch for this! They love salvia! Nice info.